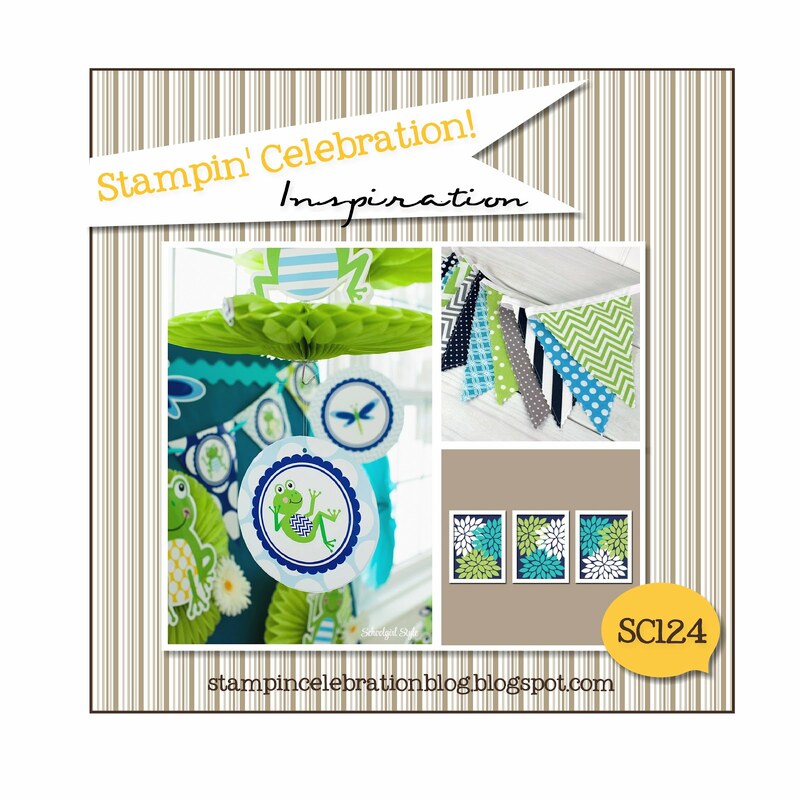 Welcome to the March Stampin' Celebration Inspiration Challenge. Apparently the cute frog inspired a lot of us on the design team! I decided to pull out the Playful Pals photopolymer stamp set from Stampin' Up! (2016 Occasions catalog) and make my first creature with the set. I ended up fussy cutting the body parts out instead of using the die cuts. It was therapeutic! 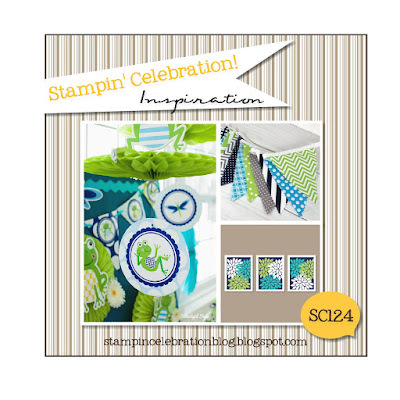 I thought he was perfect for the "Hello, Handsome" greeting from the Happy Happenings stamp set (Stampin' Up! 2015-2016 Annual Catalog) . The color scheme I used was Wild Wasabi, Lost Lagoon and Night of Navy. I added a few Night of Navy candy dots and some ink splatter from the Gorgeous Grunge stamp set. I can't wait to see what inspires you this month!